There was a time when I was curious about what happened to the bird’s nest, when the water floods and the banks are flooded. That can have devastating consequences. To be reasonably protected from flooding, the bird’s nest is usually located at a height of 1 – 3 m above the water level in steep walls with grave-capable, loamy or sandy soils. When the tube is excavated to the right size, the female moves into the cave. 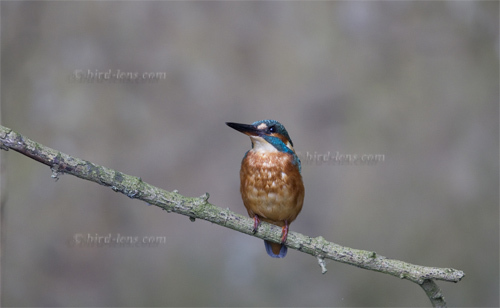 The Common Kingfisher, tunnels tubes to up to 100 cm long and lets them end in an extended incubator. Among the existing breeding sites, those that occupy every year, even after harsh winters, are particularly significant. The animals like to use old tubes, which are cleaned and repaired before use. The male and female can bring more than a hundred fish daily to feed their young, so that in a very short time in this deeply dug nest a mixture of fish bones and bird droppings accumulates. It is so foul-smelling that the adult kingfishers are often seen dipping into the water to wash immediately after leaving the tube. So what happens in a flood? A good friend of mine answered that question to me that I have a very human vision of birds. After that vision, a Kingfisher family would regularly nestle in their nests and warm each other every night. In fact, nests are of course only places for raising their young. In proven breeding grounds in reasonably undisturbed nature, the number of annual hatching and breeding success is high. 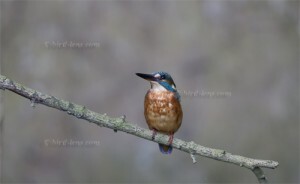 However, our human environment has created many obstacles for the Common Kingfisher. Strongly rooted river banks leave little room for digging the tube. Short-term heavy floods penetrate to the banks of the waters. The flooding of the natural brood tubes is thus the direct result of the death of a whole family. On the other hand, prolonged periods of drought allow predators easy access to the odorous breeding tube. Slope overhangs with integrated breeding tubes are dug up by rats and mice from above and below, and the young birds are captured. Last but not least, human disturbances at the nest site due to the current leisure activities pose a great danger.